Guess who got to come home a little early? By Thursday Presto was doing well enough to where they really had no reason to keep him anymore. After one last check on Friday morning he got the all-clear, and Michelle went to pick him up that evening. 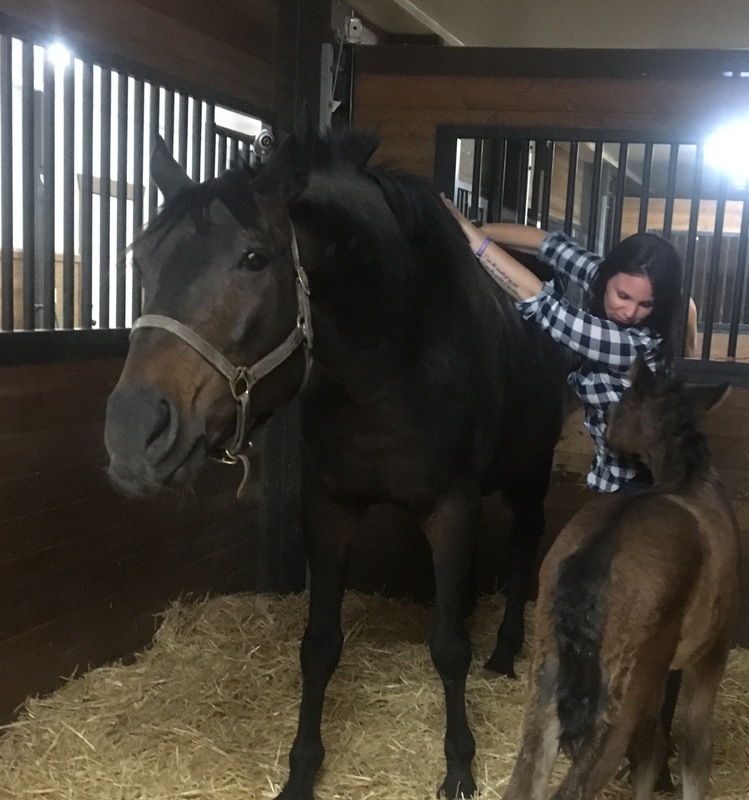 I rented a car after work to drive up there (no more 600+ mile round trips on my truck) and got to the barn just a few minutes before they pulled in, pacing the barn aisle as I waited. How would he look? Would he still be sweet? Was Sadie smooshing him in the trailer? Would he be ok at home? Should I have just left him at the vet til he’s 4? You know… totally rational thoughts. He hopped out of the trailer with his usual HELLO EVERYONE greeting, and trotted into his stall. Meanwhile, Sadie and Lissa were being complete morons, screaming for each other, with Sadie spinning in circles in her stall and Lissa galloping around her pasture. Mares. We brought Lissa in to try to calm them down, and she proceeded to try to attack Sadie through the wall. Again… mares. They don’t know what they want. Presto just kept watching them, wondering what in the world they were so worked up about. Finally they calmed down a bit, and I was rubbing on Sadie to see if that would help settle her more (it usually does, she has a one-track mind when it comes to a nice rubdown). Presto couldn’t understand why I was paying attention to her instead of him, and kept creeping up behind me, nudging at me. Once I paid appropriate attention to all of his itchy spots he was satisfied, and started exploring his stall and chowing down on hay. 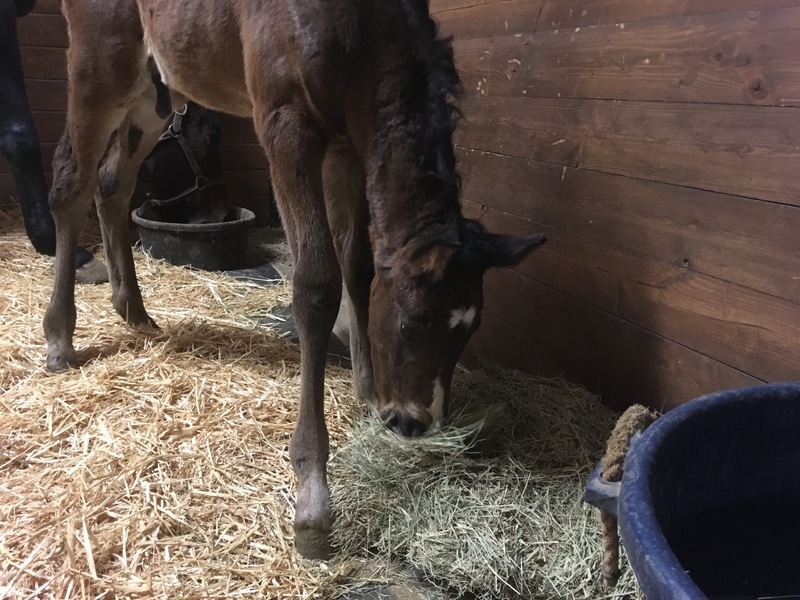 I have never seen a baby eat hay the way he does, but the vet seemed unconcerned with it as long as he’s drinking enough to keep everything moving. And he does drink a lot… he pretty much constantly goes: nurse, hay, water, sleep, repeat. He’s drinking milk as fast as Sadie can make it. Trying to make up for all that lost time, I guess! He had all kinds of adventures over the weekend, which I’ll post more about tomorrow, but mainly just wanted to take today to let everyone know that he’s HOME, and that I greatly appreciate how kind everyone has been throughout all of this. 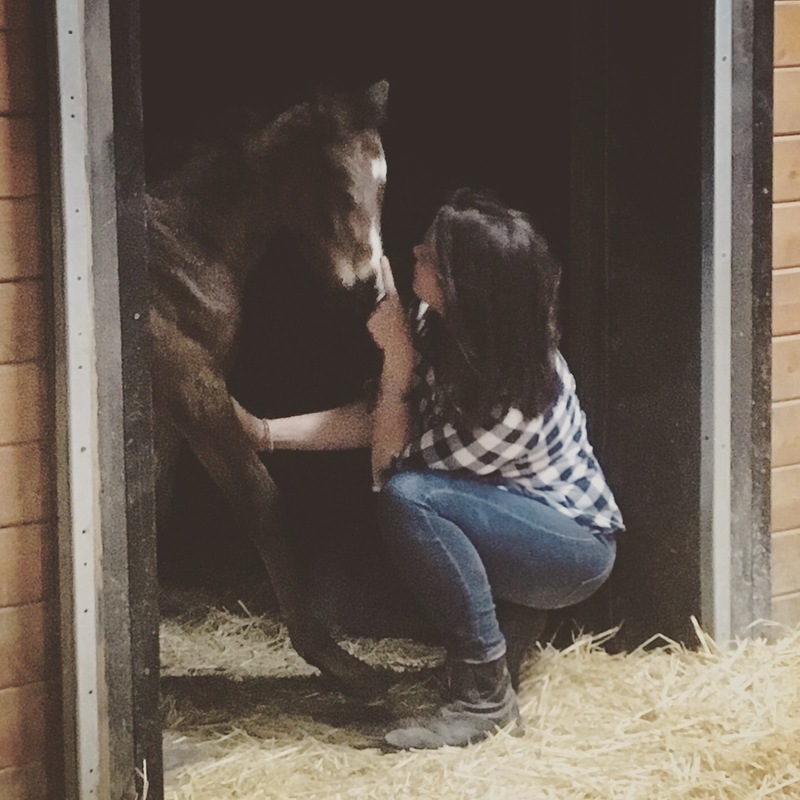 It’s the toughest horse-related thing I’ve ever gone through for sure, and at a time when the world is a little crazy and I’d lost most of my faith in the human race, you guys really renewed it. I’m just blown away by the level of caring and by the generosity of so many people – many of which I don’t even know and have never met. It’s just been amazing and I really can’t thank you guys enough. And of course, Presto thanks you too. He’s still got a little ways to go before he’s totally 100% and back to normal for his age, so please continue to keep him in your thoughts. It’s worked really well so far. For everyone who was asking about a t-shirt fundraiser for him, it has arrived! Fellow blogger Britt made a super cute design for him, using his actual silhouette from a video and adding his now-trademark face markings with a very apropos phrase. There are shirts (unisex and women’s, different fits, and a few color options), stickers, and a mug available in the shop, and it’ll be open for orders until April 21st! Sweet baby, I’m so glad he’s finally home. It must feel amazing to not have to drive so far to obsessively check on him! Is the mare cam still up in his stall? Well, he’s still in Midland, so he’s still 5 hours away from me. But yes the cameras are up so I can check on him at any time! WELCOME HOME PRESTO!!! I’m so happy he’s home!! I know, Britt is always so creative! thanks for all your positive thoughts for him! aw yay! what a relief! I know, now I’m only like 95% anxiety-riddled, instead of 100%. So happy to hear he is home safe and sound! Hooray! So happy to hear he’s home and happy! Such wonderful news! Welcome home baby Presto! Such a terrific little fighter. He has the funniest personality, and definitely a good dose of his mom’s stubbornness. I know, right? Grow, buddy, grow! Yay! So glad he’s home! Ah, just the phrase “welcome home” gets me right in the feels. I’ve really been thinking about you and Presto, I’m so glad he’s doing better! Still sending good vibes for continued health and now catch-up growth! Thanks so much, we really appreciate it! I just want to mush his little face! Love him! So glad to see him home and looking great! SO happy and thankful he pulled through and is back home!!! Fingers crossed he continues to improve and flourish! Woohoo! This is such amazing news and I’m so so happy for you. Reading this made my day! You must be in absolute heaven, Amanda, having survived such hell. Awesome news! I’m so happy he’s home and seems to be back to his little self. I love that he’s claimed you away from Sadie. Little guy knows what he wants! Can’t wait to get my shirt and sticker! Keep up the good work little Presto!